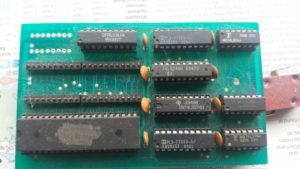 Atari System 2 .. Super Sprint to Paperboy conversion.. 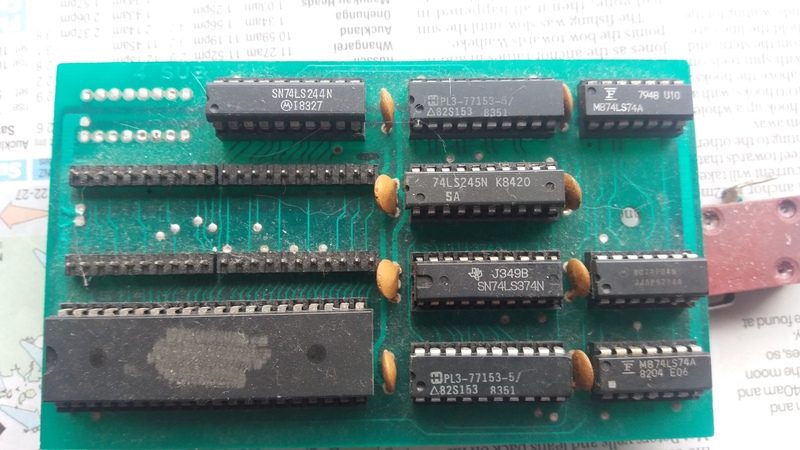 So, spend a few hours desoldering a Konami-1 bootleg replacement, and then find that someone else has done most of the work of making a schematic already. 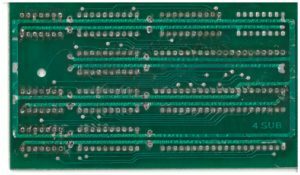 Seems there are still some questions regarding the extra pins (Konami-1 is 42 pins rather than 40 like a 6809e) and interrupts. 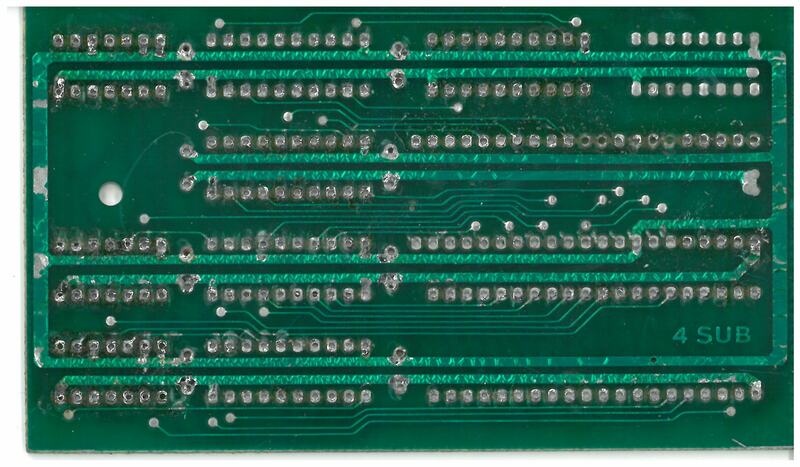 Maybe some examining of boards with builtin Konami-1 replacements like Junofirst and Gyrus is necessary. As far as I know Circus Chalie and Ropeman use this daughter board too. 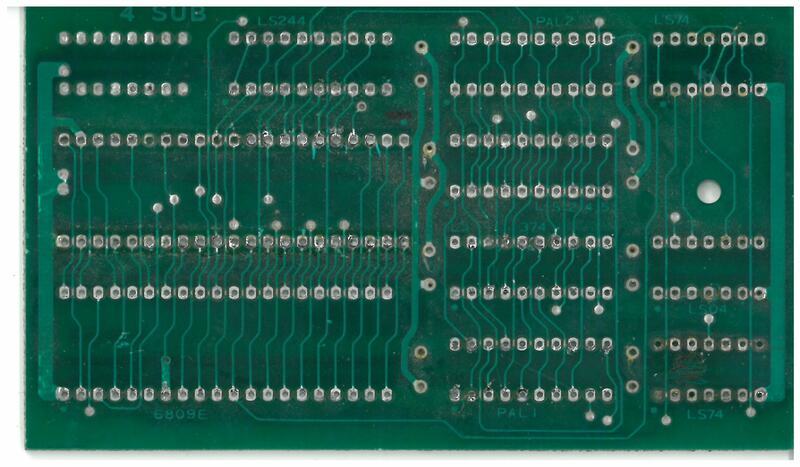 This board differs from the schematic on the UKVAC thread in that there are dual 74LS74s. There is a bit more to the daughterboard since Q is fed into the D-type FF and feeds one PAL… looks like this is a bit more complete.